This entry was posted on June 29, 2010 at 11:51 am and is filed under Uncategorized. You can follow any responses to this entry through the RSS 2.0 feed. You can leave a response, or trackback from your own site. Thank you for this excellent article. One confusion I had was with the number of High Quality stations you quote for Victoria. 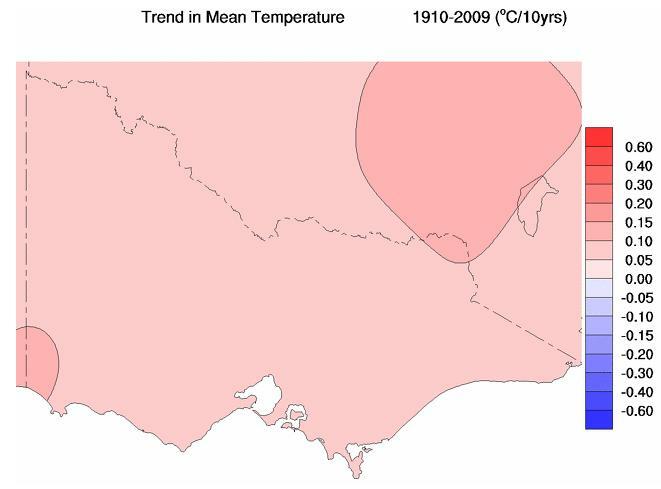 There are more than 13, such as Geelong Airport, Hamilton airport etc which are shown on the BOM website but I assume that you are only checking those used in detemining the BOMs trend maps and time series graphs. Is this correct? 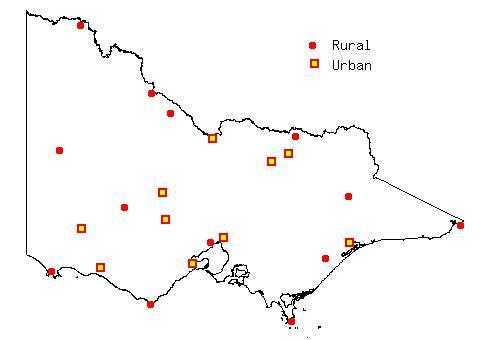 Are you using only those stations deemed rural in your survey? Thanks! Will read when I get a round tuit. Now you will probably be slimed by Tim Lambert. What reasons do you have for claiming “these adjustments are not to be trusted” and that they are done “arbitrarily”? Read my posts, starting from Part 1. Check the evidence with your eyes. The adjustments are supposed to average out to neutral. Hi Ken, any chance you can provide links to the data sets you’re using? In particular I’m after the “raw” (unadjusted) data. Thanks. I will post showing exactly the steps involved in how to get at the raw data more precisely in a few days time. Thanks Ken. It would help to know which stations you combined (spliced) to get the fuller record. 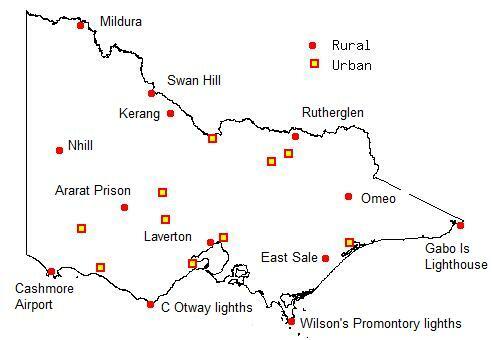 Take Swan Hill for example, there are 30 “nearby” stations listed in addition to Swan Hill. Did you combine ALL stations to create the complete record or only some? If some, which some and what were your criteria for selecting stations? Do your combined stations match those used by BOM? 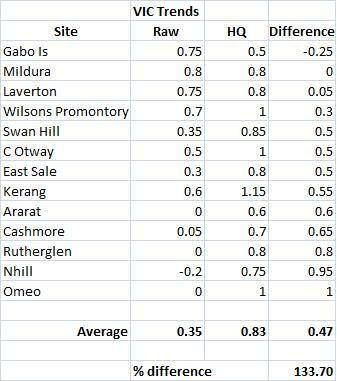 Also, did you statistically process the stations (eg area weighting) or simply combine the raw (unprocessed) data? Cheers. AS, I only spliced the stations right in the town (or up to 15 km away in the case of Cashmore). There were some cases in WA and Tas where I had to go further afield to see where the HQ figures could be coming from but generally there were only 2 (sometimes more) stations eg post office or similar and airport. They are listed in the graphs. 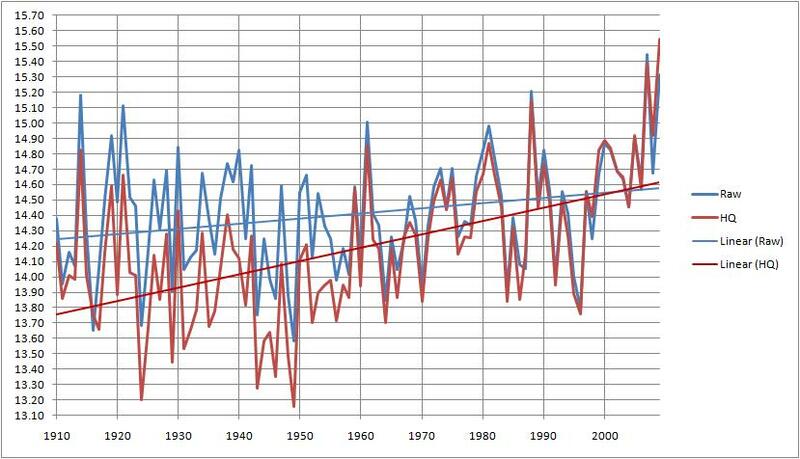 If I had to do a manipulation of the data eg subtracting from the raw data to make it fit to another station to see how it matched with HQ I mentioned that in the notes to the graph. No area weighting, simply combined. Check the graphs. You are being kind to them. I had a look at Laverton, as it was featured in a previous post on WUWT, and the population in the surrounding area had increased 10 fold since 1950. Yet there was no attempt to adjust the recent figures down, or the older figures up, in a steady fashion to reflect the UHI effect. If anything the true trend is even lower than you have identified. Excellent. What a marathon effort! 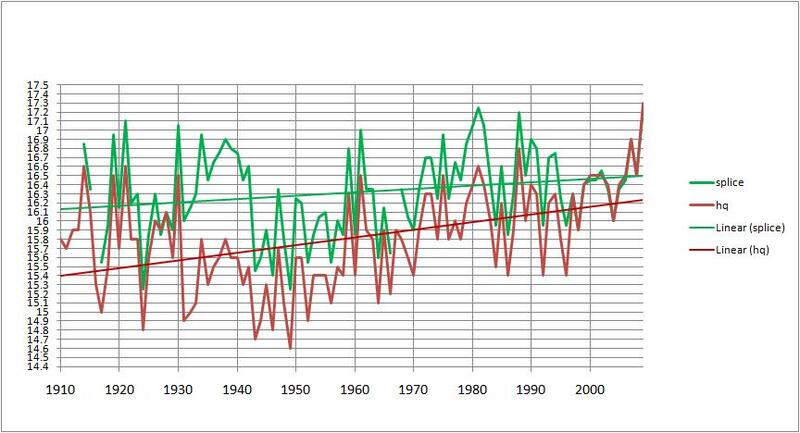 I started to look at the Australian data used by GISS, but never really did that much with it, partly because it was so poor (lots of ‘dropped’ stations etc.). It is the same story as this all over the world with GISS (although changes tend to be less extreme). BOM, GISS, NOAA (can’t say with CRU as I haven’t looked) all seem to feel the need to homogenize stations such that all stations in an area have a homogeneous trend. Even my rudimentary knowledge tells me that not all sites will respond the same to longer term variations in the climate affecting weather and the predominence of weather patters. So certain sites will have more temperature inversions, wind direction from a moderating influence such as the sea, etc. OK enough ranting….. I share your frustration at this. This is an amazing combination of mathematical and actual illiteracy. Impressive. 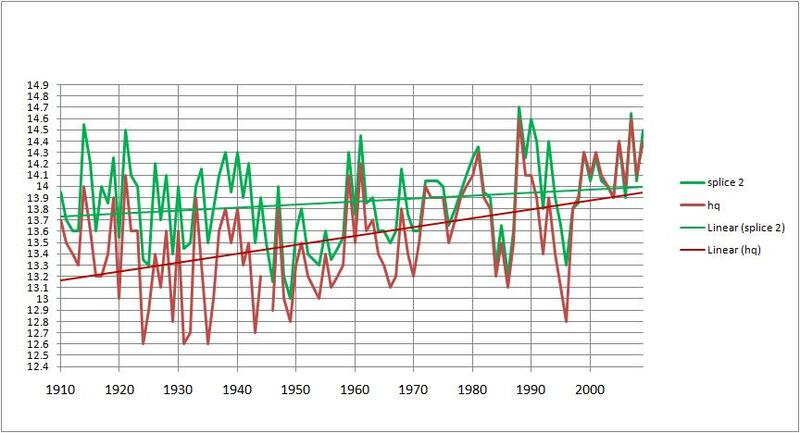 The original claim is about the temperatures, not the trend. Do you see the word trend there? The point is the average adjustment should be zero. That doesn’t mean the resulting trend should be zero, or the same as the unadjusted trend (the unadjusted trend is pretty much meaningless). 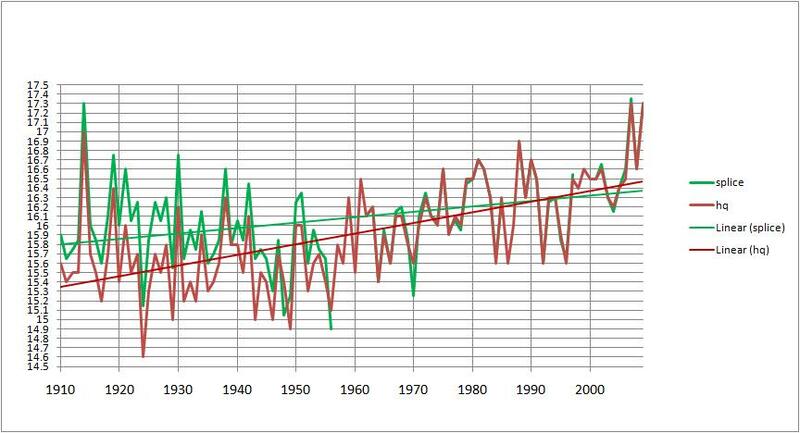 Of COURSE adjusting the temperatures will affect the trend since the purpose is to remove the noise and reveal the true trend. Thank you for your contribution to my literacy. So the average adjustments should be zero. Have you bothered to check if this is so? I have. 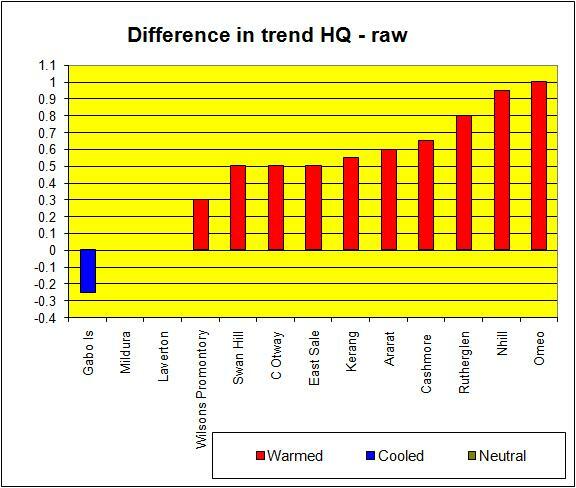 Mildura, whose adjustments have not led to a higher rate of warming than the raw data, has an average adjustment of -0.17C. Some up, some down. Gabo island Lighthouse, which was the only one cooled, has an average adjustment of -0.07- pretty close to zero. Omeo, the leader of the pack, has an average adjustment of -0.34C. By the way, that’s per year. 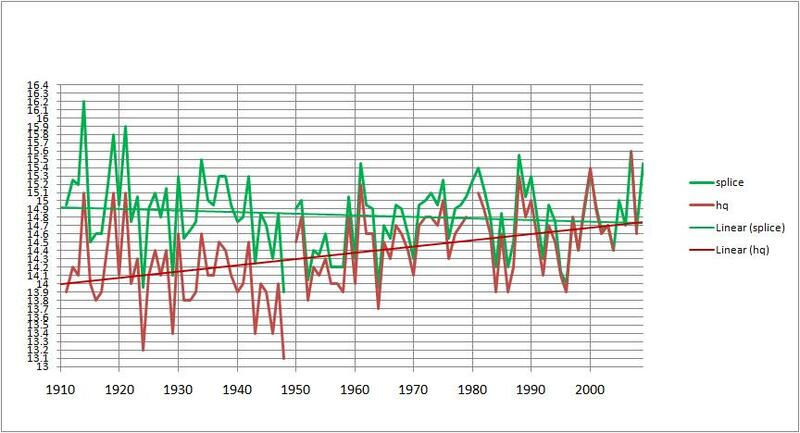 If you look at the graphs I think you will see what I mean- the difference between the raw mean and the adjusted mean at each year is pretty obvious. 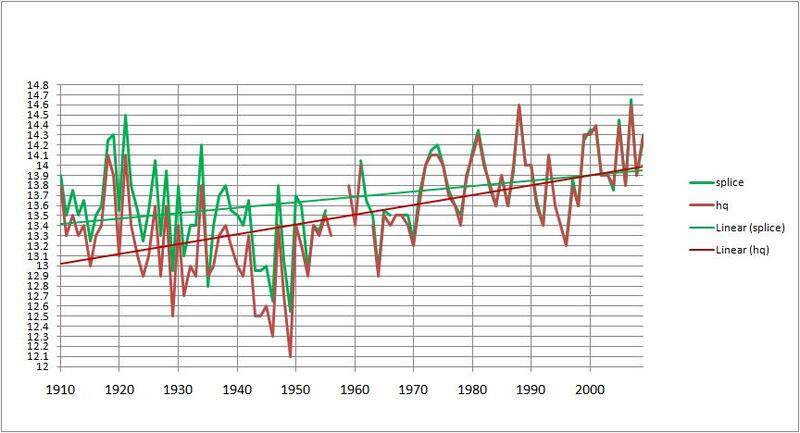 And sorry, but the temperatures year by year do produce a trend. 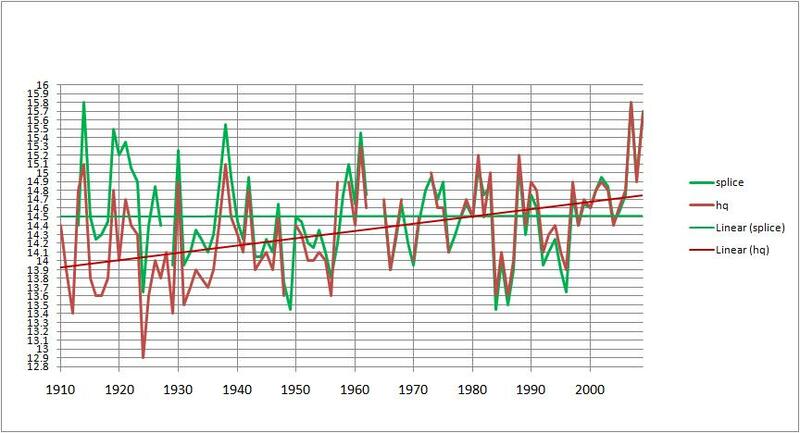 And I agree with you, I have come to the conclusion that any trends found in the last 100 years are pretty much meaningless, but the trend announced by BOM and CSIRO is totally meaningless. 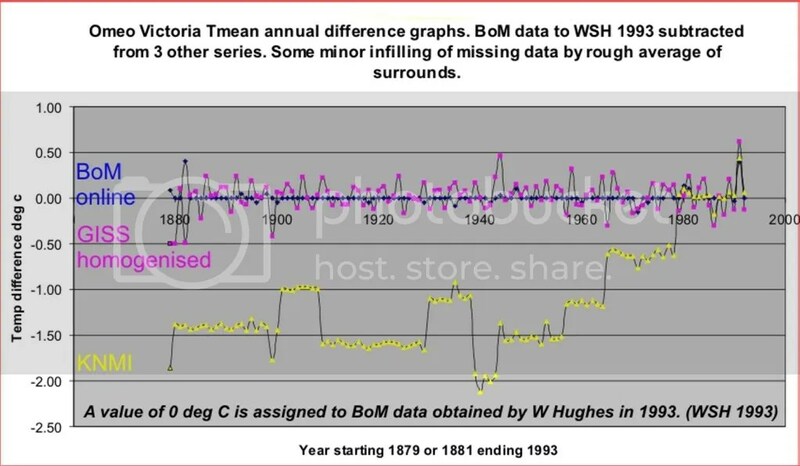 Warwick Hughes paid for a large amount of BOM data in 1993. 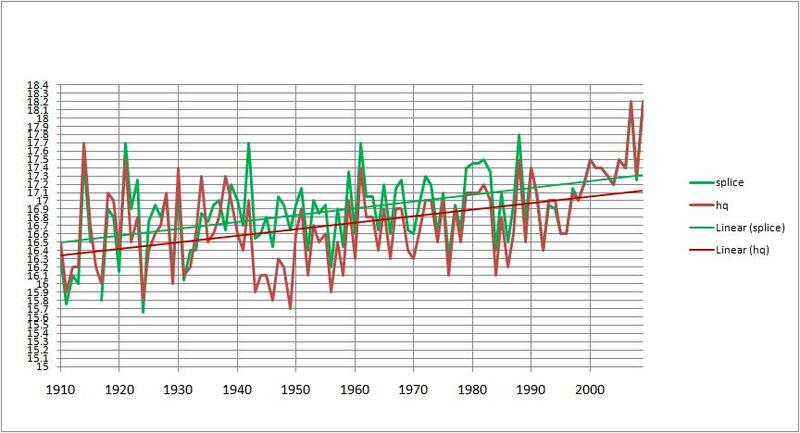 In the graph below for Omeo, I have subtracted the Tmean each year of Warwick’s data from other sources as noted on the graph. 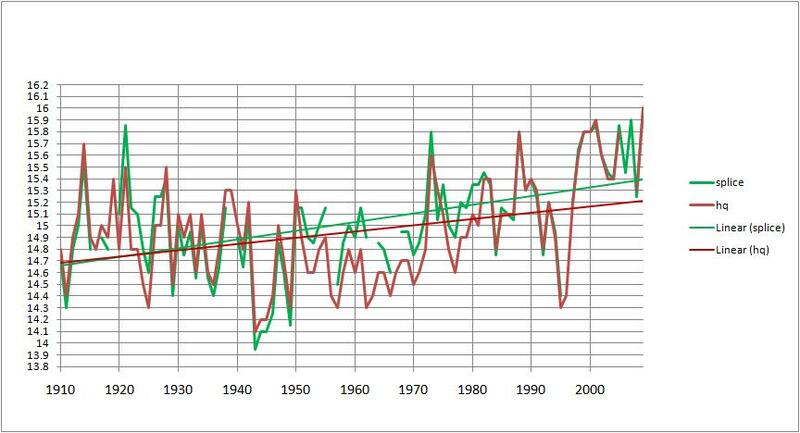 You can see that adjustments by others have produced differences as large as 2.1 deg C in a year. This creates a problem for a new researcher (say) wanting to calibrate some new proxy against the instrumented period. If the researcher did not know that many variations of temperature exist, his calibration could be shot to pieces by the wrong choice. What is worse, the zero value I have used for WSH 1993 in this difference graph has already undergone BoM adjustments in the style of Torok and others. However, it is near impossible to obtain raw data as shown on the data collector’s records. The importance of this is becoming increasingly pressing as KNMI, which has a magnificent site, continues to list data that an ususpecting person might choose because of the site’s reputation. There is a lot of fine print to be read on KNMI before one can choose an appropriate data string. 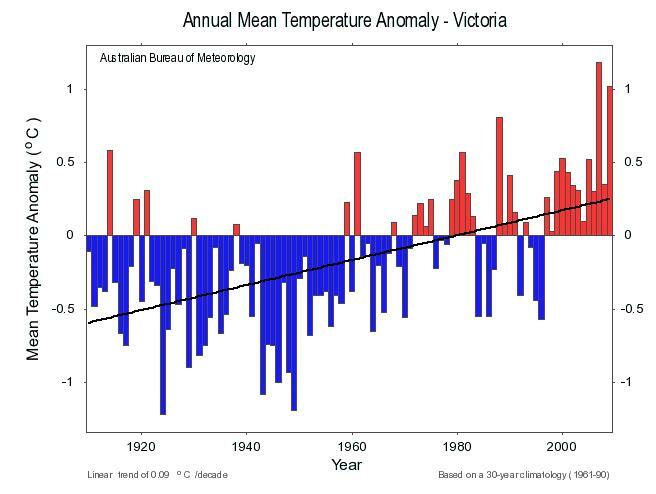 It’s really up to the BOM to produce a definitive version at least of the Reference Climate Series of 100 or so stations, then to insist that the BoM series is the only valid one. 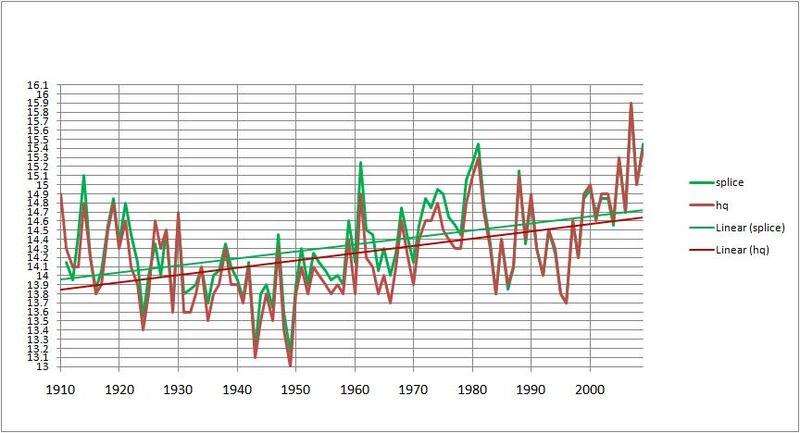 It’s not really valid for NOAA, NCDC, GISS, GHCN, CRU, Albert E Newman or anyone else to take liberties with these data. There is a best version and there are other versions that should be dropped forever. Those who wish to work more on the Omeo data can use these numbers: (Sorry for the length, Ken). Could be proximity to the ocean. I note while regularly scanning temperatures in Victoria, at BOM, that the stations at Cape Nelson, Cape Otway, Rhyll, and Wilson’s promontory are quite often one to two degrees C. higher than the nearest inland stations. The maps of ocean temperatures on the Weatherzone website (from NOAA) show adjacent SST of about 15 deg.C., which is higher than prevailing air temperatures. SST anomaly is currently +1 to +2 deg.C. There are considerable fluctuations in the SST in the region to the south of Australia, but I do not know if the current positive local anomaly correlates temporally with the higher temperature air Wilson’s Promontory. 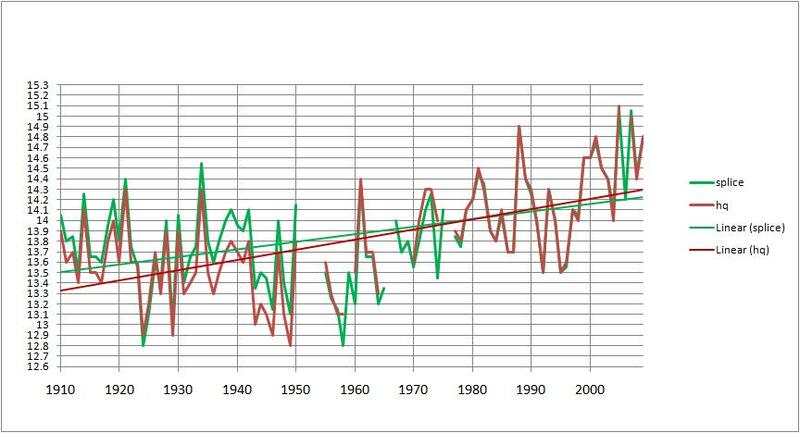 Yes I agree the proximity to the ocean ( and distance from it) appears to be a large factor in the trend in raw temps. The “Slightly warmed, who knows why.” comment is that the adjustements have slightly increased this trend as well. 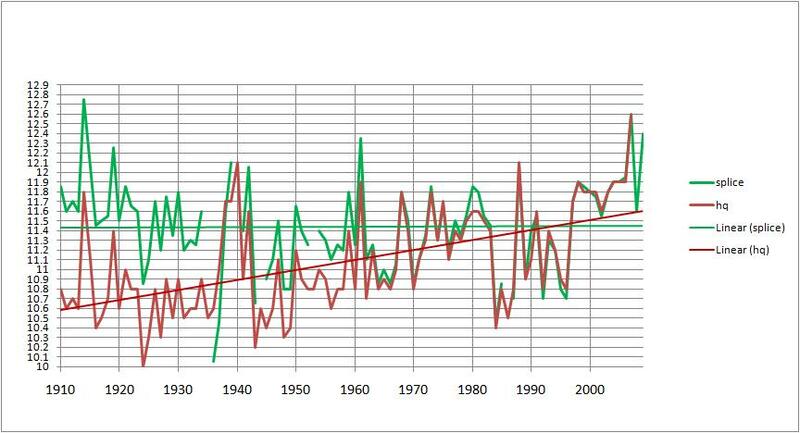 Proximity to Ocean, of itself, need not produce a trend over time. 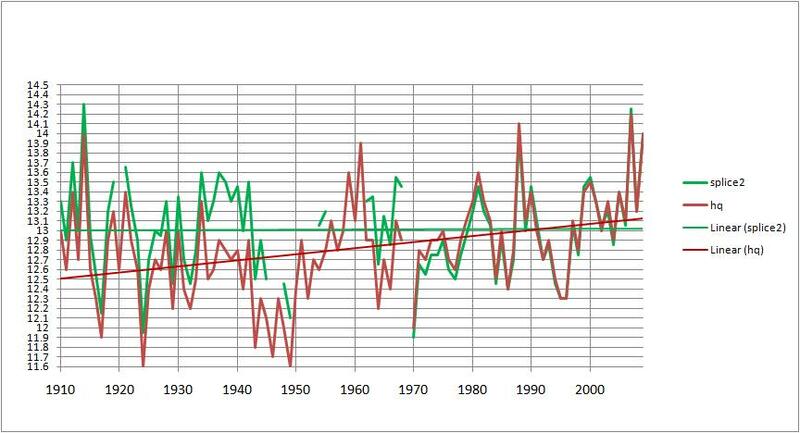 It will not produce a significant trend if the climate is close to an equilibrium. It might produce a trend if (e.g.) there was a fast regional cooling and land had a different thermal inertia to sea. 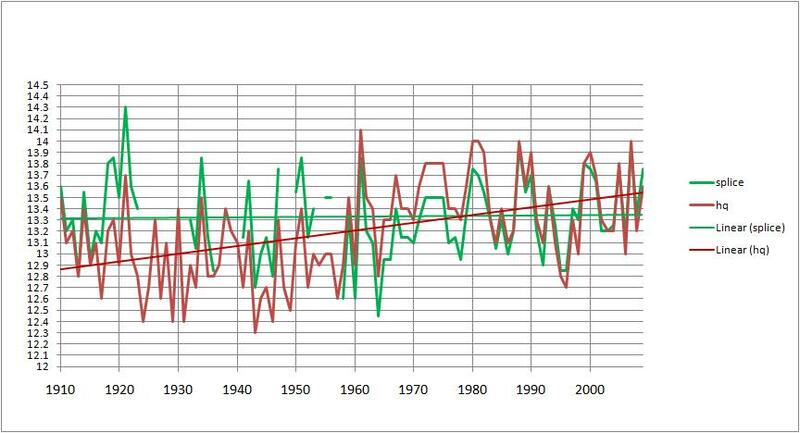 This is one ofthe problems I have with a subset of rural stations I’m working on, where 7 coastal stations have barely changed temp in 40 years and 7 inland stations have shown a (linar) rise of about 1 deg per century, some rather more. 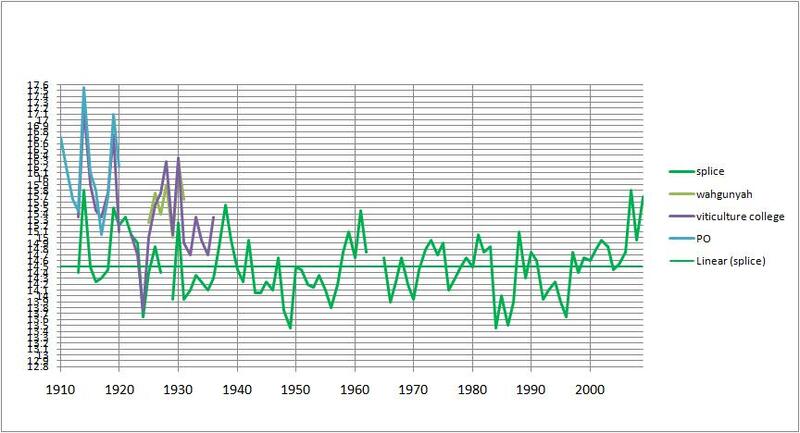 Such a differential cannot go on forever, because it becomes impossibly large if you extrapolate for several decades and it is not there if you go back several decades. Ken, might I suggest that now you have reached this stage, you can divide your national rural stations into coastal and inland (more than 100 km) to see if there is a systematic difference? The more stations used, the more it helps unravel the problem, which at this stage cannot exclude instrumental and adjustment deficiencies. Yes that’s one of the significant issues I have discovered, and it appears to be different in North Australia from Southern Australia regions. Points noted, it is odd. I will be looking at that shortly, as well as the Urban sites to see what’s been happening. I am a wind analyst and do much of my work in the state of Victoria. Just came across this conversation and thought I would add to it. Hopefully it is not dead and this is not a message in a bottle – but here goes. No your comment is not lost. Changing wind, cloud patterns are behind most temperature change I believe. Thanks for your comment- I’d like to hear more from you!